MAGNIFICA XIII *20/03/ is a beautiful, very tall PRE filly, well cared for and handled professionally by her owner. Being the full sister of Lanzarote XIX, she has incredible genetic qualities as a fantastic dressage horse! Her character is very calm and gentle, loves to cuddle and bonds easily. 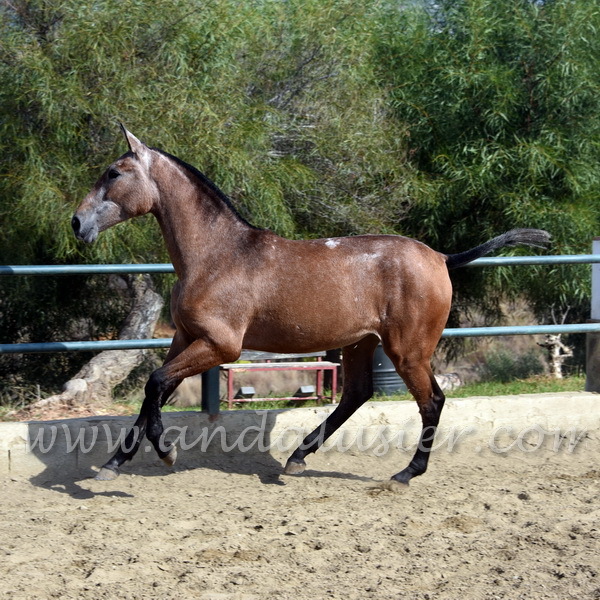 She is very intelligent and her movements are oputstanding, very rare to find such a tall and beautiful and well moving mare! 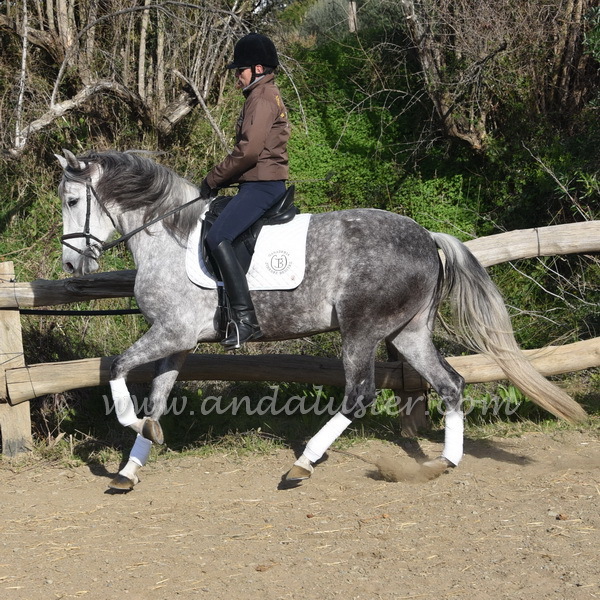 Both her grandfathers have been Spanish champion and are well- known in the dressage and PRE scenes! 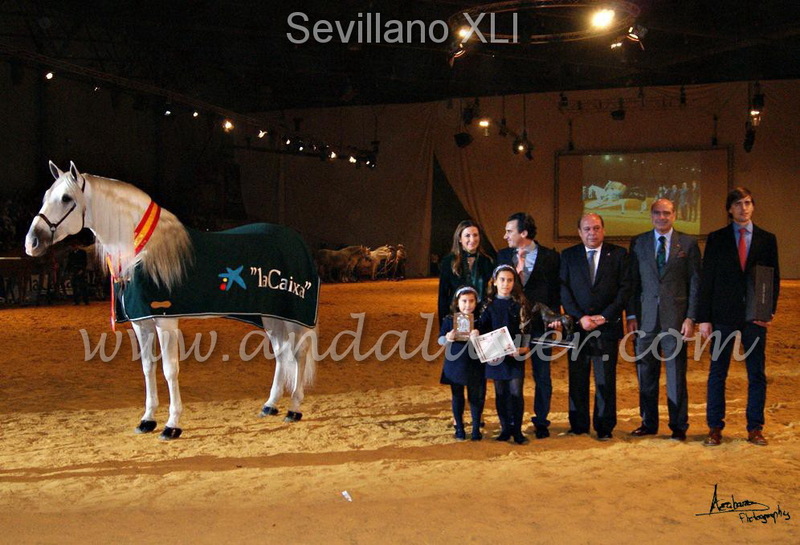 Sevillano XLI is a pure Granda Losada stallion, calificado and recommended as dressage breeding stallion (red & green ribbon), has been Spanish champion in 2011 – he is sired by calificado stallion Yunque VII (Granda Losada). Her grandfather Norte Lovera from the breeder Yeguada Lovera, has been Spanish champion in 2013 and even competed in the European championship 2013! Here you can read an article about him!